I really loved this book. It had everything a great story needs. Adventure/action, romance, suspense, and mystery. The adventure and actions start right from the beginning. Liz, the heroine, is attacked and rescued by the brooding hero, Keltor. Liz is thrown into the world of the Guardians, protectors of the Light. She is the Keeper, she has the power to tip the scales in favor of either the Light or Dark. 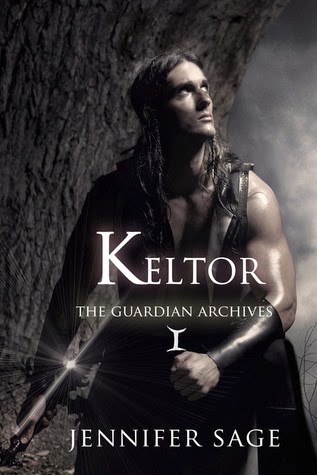 Keltor is a Guardian of the Light that is still grieving the loss of his family centuries ago. The romance comes when Keltor and Liz fall in love. What happens when they’re separated? Will they survive the war to live happily ever after? Will their love survive? Knowing they're rushing to battle adds to the suspense. Will the Light overcome the Dark? And finally, mystery. Why was Wolff, leader of the Shadow Demons, evil and will the Guardians find out the truth about him? What is the Pure One/Mother hiding? So many questions were left unanswered. I loved this book. I loved the adventure. I admired Liz’s strength to deal with everything thrown at her. My heart broke for Keltor knowing all he endured. I can't wait for the next book in the series. I would compare this book to BDB and the Dark Hunter series. If you like those books, you will love this book. If you love paranormal, adventure, and romance, you will love this book.